InstructorsWhy does my contribution worth it? Providing a course as an open academic course is a great opportunity so that teaching and research staff involved could upgrade their educational material and broaden their audience. 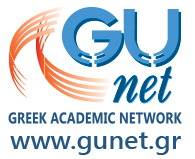 At the same time, the open courses project aligns with the values of open education which keeps being internationally developed as a new dynamic academic “movement”. A platform has been developed and is provided to enhance the communication and cooperation between open content creators, intended both to support them in seeking sources of Open Educational Resources and to facilitate the exchange of information, ideas and expertise amongst them.